The 'San Diego Promise' offer is valid for thousands of students. 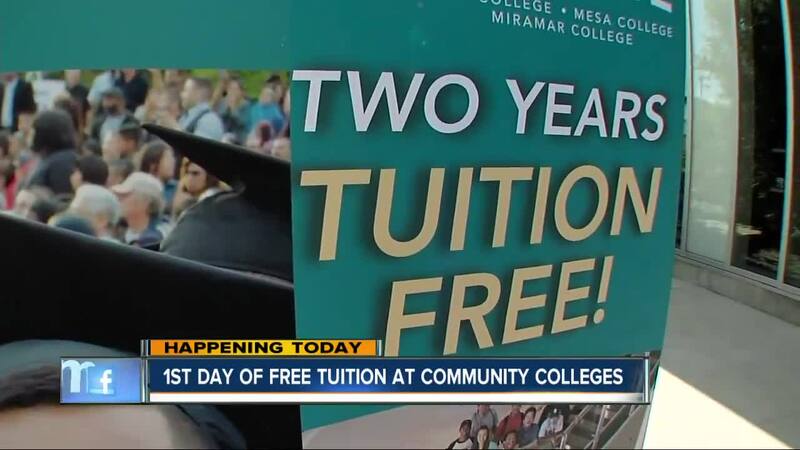 SAN DIEGO (KGTV) - The first day of free tuition begins Monday for about 1,700 San Diego community college students. 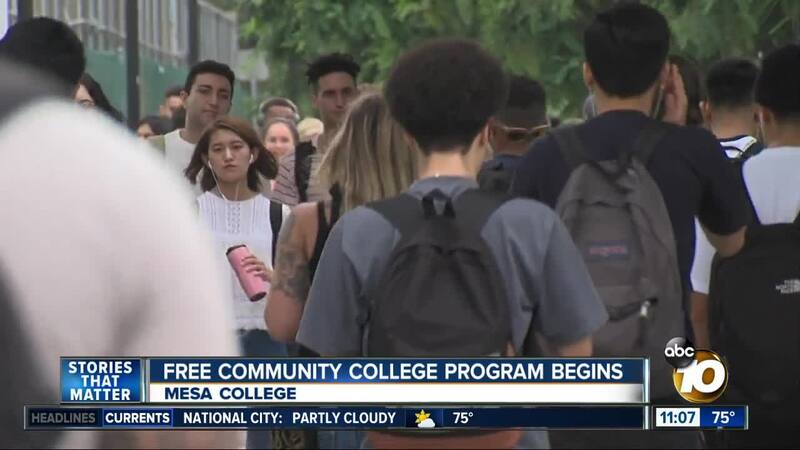 Many students at San Diego City College, Mesa College and Miramar College are starting classes without having to pay a dime, thanks to the new San Diego Promise program. Students can qualify for the program regardless of economic status. Officials said San Diego Promise will help many students that otherwise might have been able to attend college achieve their education goals. “It’s surprising how many of our students have food and housing insecurities, so for them to be able to have this support to go to college is really a factor to determine whether they can attend or not,” said Lynn Ceresino Neault, Vice Chancellor of Student Services with the San Diego Community College District. The state of California is funding the program for the first year, with private donations accounting for the funding in the second year.